For those wanting to commemorate a new addition with blue, here is a delight! 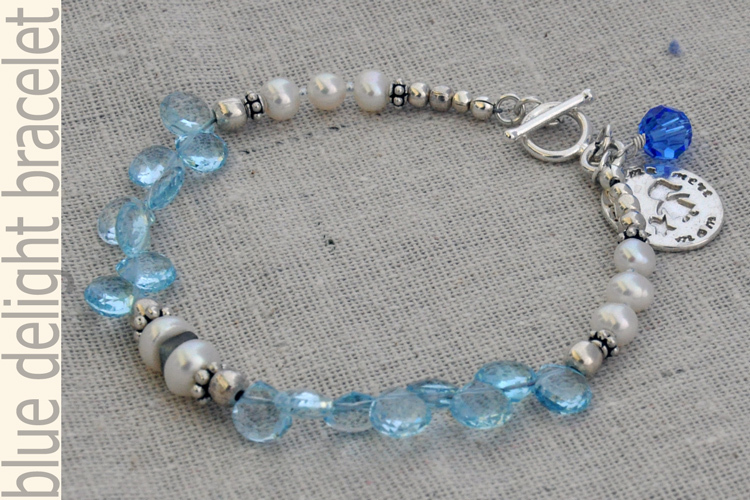 It features blue topaz stones, among the toughest and most beautiful stones, freshwater pearls and sterling silver components. The sterling silver charm shows a mother and child hand in hand with "mother" in different languages. 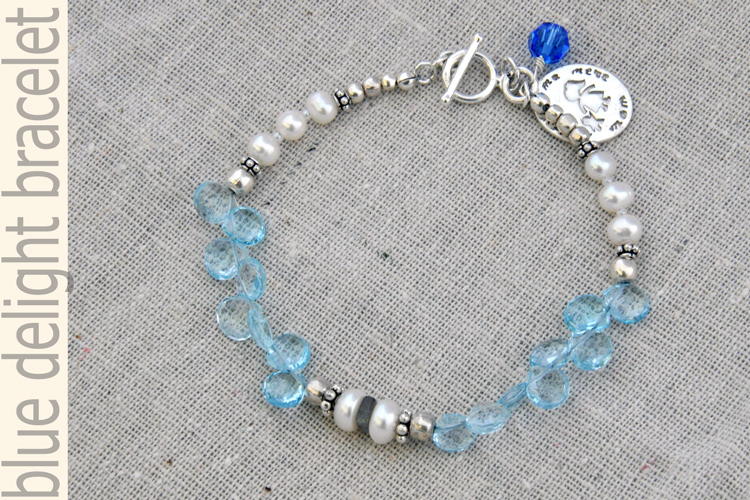 Note: the blue topaz in this bracelet has been heat treated to enhance the blue color (most naturally occurring topaz is colorless). Care & cleaning: Beading cord may be kinked or broken through hard jerks or severed through prolonged exposure to rough or sharp edges; store bracelet flat when not in use to prevent stretching or kinking cord. Clean with warm soapy water and avoid chemical or abrasive cleaners. Use a soft jewelry polishing cloth to clean tarnish appearing on silver. This bracelet is tough enough to survive toddler tugging, but as with all beaded jewelry: do not let young toddlers chew on it. 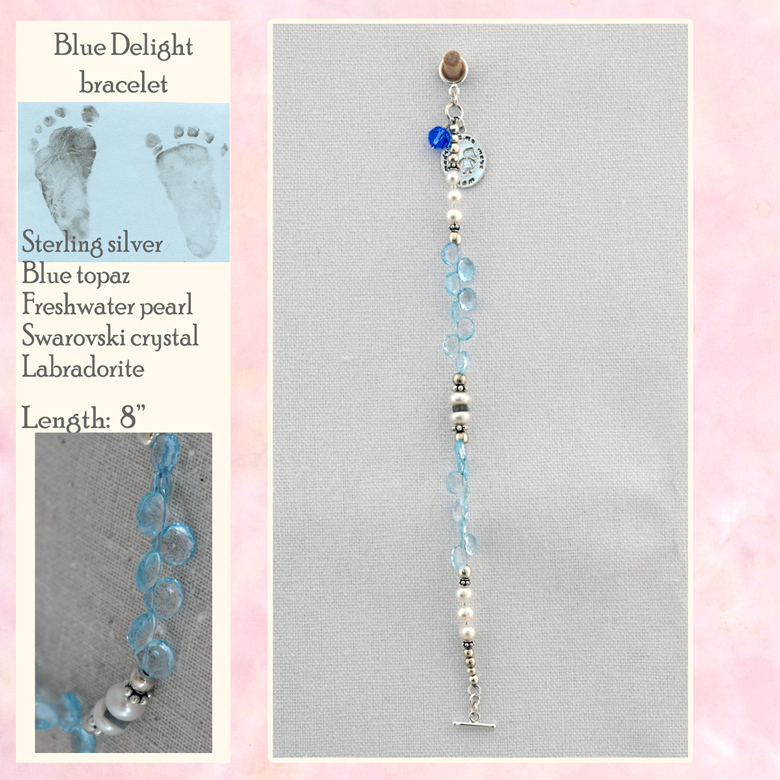 This is a longer bracelet at 8" so be sure to measure your wrist before ordering to make sure this length will work. 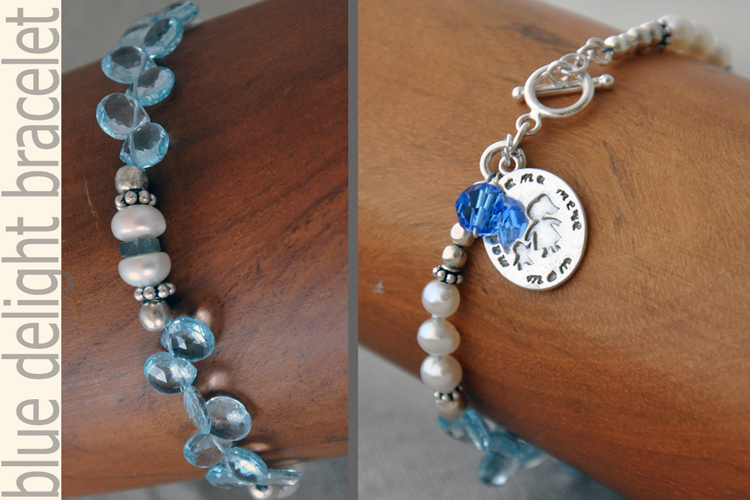 This bracelet combines style with sentiment so you get to be a mom in a very "non-mom-jean" way.